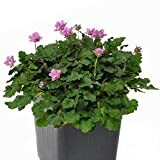 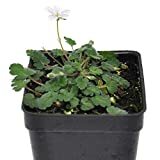 Erodium chrysanthum growing herbaceous of the genus Erodium also known as Greek storkbill, Erodium chrysanthum perennial evergreen plant, used as ornamental drought tolerant plant, can grow in temperate or subtropical climate and growing in hardiness zone 5-9. 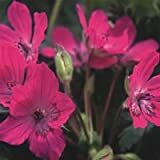 Leaves color green in oval shape, the leaves lobed to deeply lobed like pinnate. 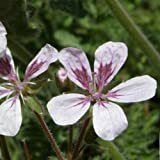 Flower color white in flat shape with five petals, flowers grows in clusters.